We are having an exciting start to the new year here at BigDatr HQ: the unveiling of the biggest product yet, Brand Profile! As a company our goal is to empower businesses to make better decisions through data driven competitor intelligence. We recognise that finding a quick and easy solution to compare a brand to competitors, and to digest data in the easiest way will allow for better business decision making. Under our roof we have a bunch of talented experts from Product Development, Marketing, Customer Success, Sales and Data Scientists and collectively we felt that there was a gap in our product. We wanted to create a stickiness that will get our users wanting more and more. Between exclusive industry partnerships and our highly skilled research team, we know that our data is a game changer for brands. Our problem was that we weren’t conveying it in the best possible way. Users have to really ‘dive deep’ into the platform to search what they’re looking for, and most of the time they may not know exactly what they need to be searching. Our Analytics team pulled out some really interesting metrics on user behaviour and retention rates and we all agreed that the platform needed some sprucing, so we all took this problem to the drawing board and voila! Brand Profile was born. Brand Profile is a competitive analysis and reporting module, designed to help dissect monthly media spend and campaign data for every brand. Each profile provides a full scope of a brands marketing strategy with a monthly rank position, all in the one view. From campaigns to media value and active creatives running in market, Brand Profile unites everything about your competition, to empower better decision making. The module makes media value data more transparent across brands, so you will be able to see the fluctuations month by month, and across media type and category. The brand ranking system is designed to show the big picture of where a brand sits in market for the month. When we designed the ranking system, we wanted to show users the brands that they should care about. We’ve created something which can easily identify the categories and campaigns being promoted most aggressively, along with the messaging used to target potential customers. Why did we embark on designing Brand Profile? BigDatr started out as an advertising creative feed for brands and agencies, and now we’ve expanded beyond that by creating a platform to help users access and manage all critical market activity all in the one place. Today, we help thousands of customers increase marketing ROI, close more deals, boost sales and improve customer satisfaction. Processing data can be highly complex, and we believe that everyone should be able to interpret data in their own way. When we reflected on the BigDatr app as a whole, we quickly came to realise that even with the breadth of data we hold, there was no single consolidated page with an overview of our brands. So when it came to designing Brand Profile, we wanted our users to get the answers quickly and easily. We wanted to showcase our data so that users can see what’s happening in market, and with their competition, so in acknowledging this need we created Brand Profile. Image Above: Brand Profile shows a rank of where brand sits in their industry, along with the media value spent in the month. - What would you ask the client? The response was interesting, with each individual answer being a fairly similar combination of asking for detailed competitive benchmarking, to the ability to see media spend and creative breakdowns. The Product, Design and Marketing teams took these responses and came together to collaborate. We decided on taking a day to have a BigDatr hackathon to make sense of it all. This was the first time we had embarked on a project so large and complex, and we wanted to make sure that all ideas were represented (even some of the crazier ones). After countless mocks and sketches, the team narrowed down the elements of the page that we felt our users would find most beneficial. Our conclusion was to create a new page in our app where users could easily get high level competitive benchmarks with media value data all in the one view. We ordered the page in the manner we found most logical, starting with a search by brand, each profile starts with a high level view from where a brand ranks against competition in industry, getting more granular with spend breakdowns across media type and category, and finally a comprehensive but clear view of a monthly campaign schedule and every creative captured in that month. Within weeks, our team brought the concept to life! Our final touches were iterating on the design and classic BigDatr colour scheme to make sure our new product was clearly aligned to our brand. Image above: Sneak peak of brand profile scroll through using demo data only. 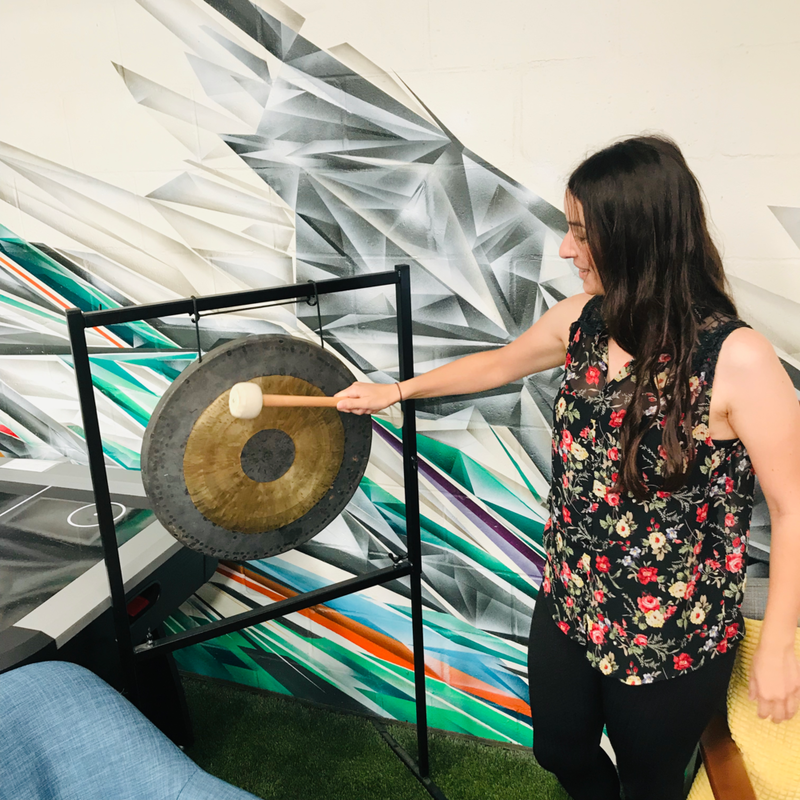 We have been absolutely delighted with our development process and final creation, and once the final product was there we had our traditional BigDatr Gong celebration. Login to BigDatr and have a play around of Brand Profile, and don’t forget to let us know what you think!